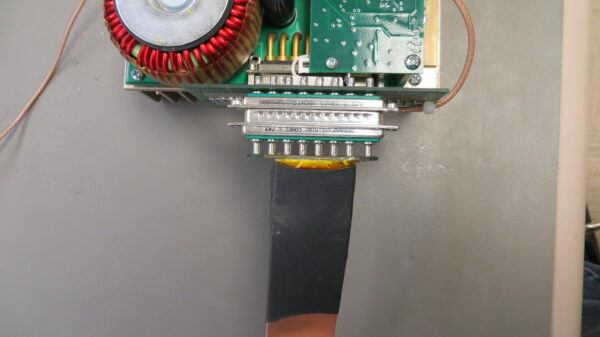 To measure the output pulse current to the load from your PCO 6131 or the PCO-6141, you will need a Current Monitor assembly. The current monitor contains a current-to-voltage resistor (CVR), also known as a current sense resistor. The use of this accessory board eliminates the uncertainty of the exact current and pulse shape that is being delivered to the load. The following is a demonstration of the PCA-9155 current monitor board with a PCO-6131. The first step is to ensure you have the correct current monitor board. The PCA-9150 Current Monitor is used with the PCO-6141 and has a scale factor of 5 mV per A. 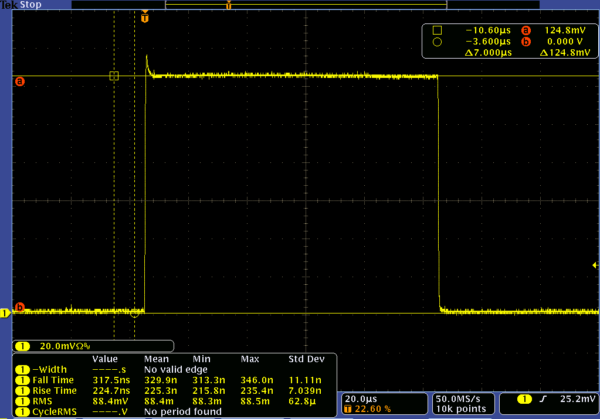 A current of 60 A results in a 300 mV reading on the oscilloscope. The PCA-9155 is used with the PCO-6131 and has a scale factor of 1 mV per A. 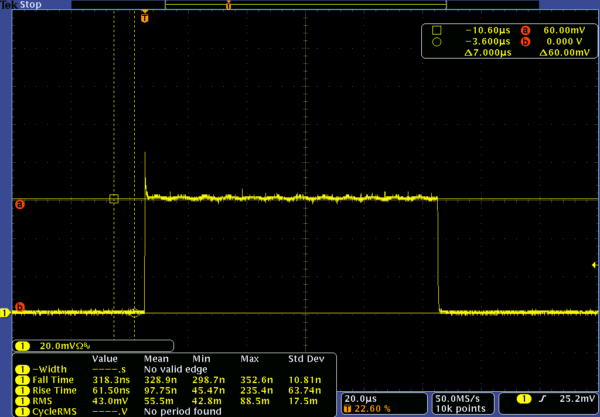 A current of 125 A results in a 125 mV reading on the oscilloscope. 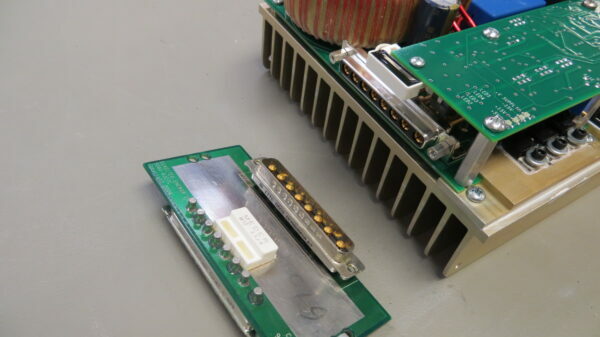 For this demonstration we use the PCO-6131 and PCA-9155. The next step is to attach the PCA-9155 board to the PCO-6131 as shown below. 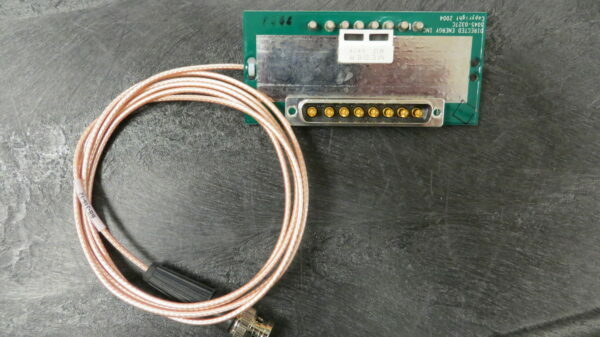 When this board is attached to the driver you will need to make sure the white interlock magnet is over the magnetic reed switch that is located on the top control card of the unit. This can be seen in the photo above. The next step is to connect the stripline and load to the PCA-9155 current monitor board. The load that is being used in this demonstration is a 0.166Ω HPL-2400 test load. The final step is to connect the PCA-9155 cable to the oscilloscope. 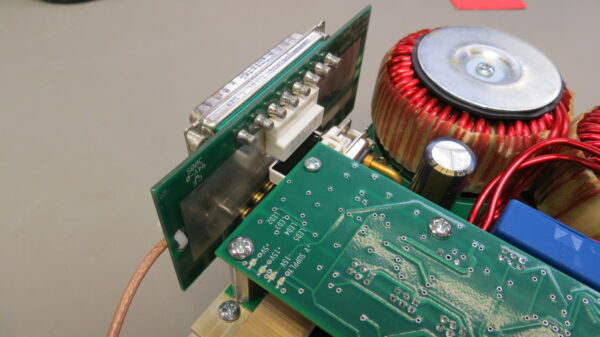 The oscilloscope input channel will need to set to 50Ω termination. If your scope does not have this setting you will need a BNC 50Ω termination connector. Once everything is properly connected we can start pulsing the PCO-6131. 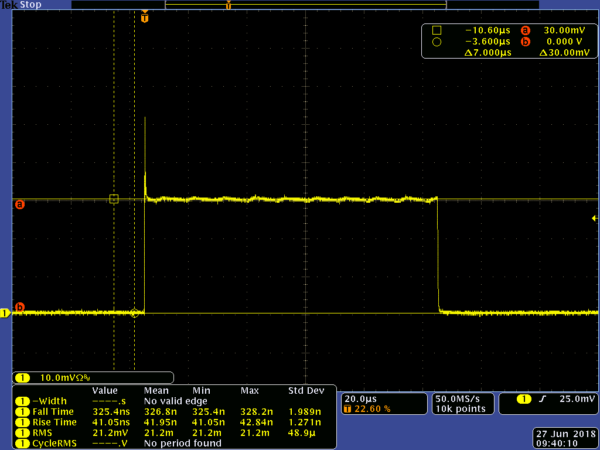 In this example the PCO-6131 trigger is set to 100 Hz with a 100 µs pulse width. In the following oscilloscope shots, the actual current is displayed with a scaling of 1 mV per A. The first is 30 A, the second is 60 A, and the third is 125 A. Thanks for reading! If you have additional questions please contact us! ⟵How do I set the PCO-7810’s pulse frequency (pulse repetition rate)? 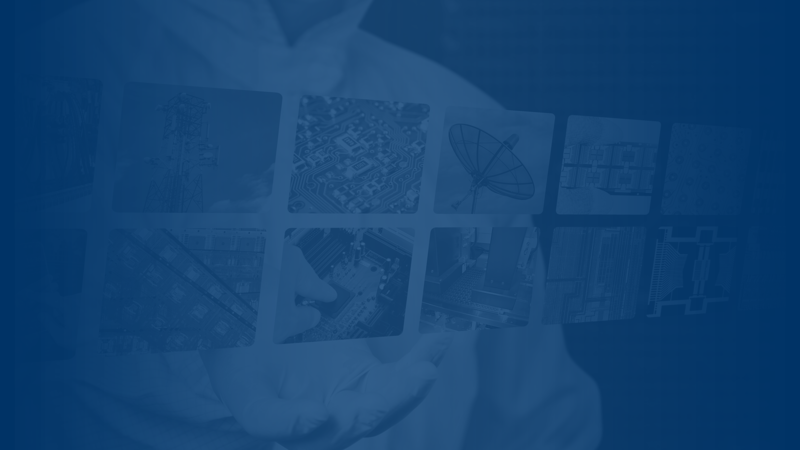 Get News from Directed Energy! © Copyright 2018 - 2019 Directed Energy, Inc. All rights reserved.